Growing up, I was never really exposed to children who had disabilities. The kids in my elementary school in the 1970s who had Down syndrome, autism or cerebral palsy were in a separate classroom, and we rarely saw them. And while I remember very clearly my parents talking about race, religion and sexuality, we never talked much about disabilities. Sure, we were told that it wasn’t polite to stare, or ask a lot of questions. But that was the extent of the conversations. We’ve come a long way. Now, many children with intellectual or developmental disabilities are in the same public school classrooms as their typically developing peers, for part, if not all, of the day. There are entire months set aside for autism and Down syndrome awareness, and plenty of blogs out there about parenting a child with disabilities. It’s become part of the mainstream. But because we didn’t grow up with a lot of exposure to people with different abilities, many parents today struggle with how to talk to their kids about disabilities, according to Michelle Sie Whitten, the executive director of the Global Down Syndrome Foundation. 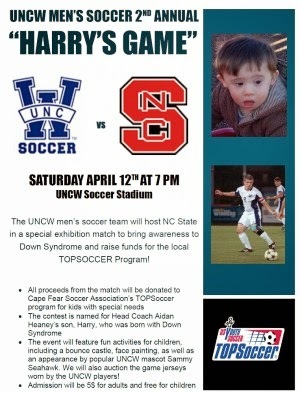 In an effort to bring awareness to Down syndrome and improve tolerance and understanding of children with special needs, the UNCW men’s soccer team will play in a charity match against the N.C. State Wolfpack on Saturday, April 12, at the UNCW Soccer Stadium. 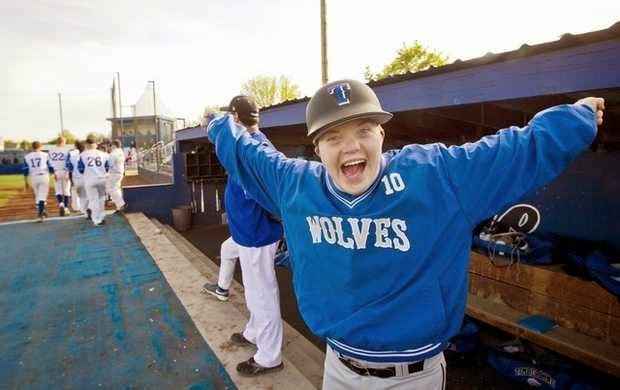 Nearly two years ago, Harry, the son of UNCW Coach Aidan Heaney, was born with Down syndrome. Heaney hasn’t missed a beat on the pitch and couldn’t think of a better to combine two of his loves, his family and the game of soccer. “Harry has been such a blessing for our family. We knew early in the pregnancy he would be born with Down syndrome and, naturally, we were in shock. My wife and I did our research on what this would mean for Harry and our family. We continue to learn on how to be a parent with special needs,” Heaney said. Heaney got the idea for the game from a colleague at Xavier, who also has a child with Down syndrome. After speaking with coaches at N.C. State at the end of this past season, they both agreed that this would be a great way to come together in support of a cause so close to home, Heaney said. “It’s never something you think about when you start a family. Our son is a unique child, but I can tell you he wakes up with a smile on his face every morning and I’m sure he will teach me some things as he grows. Our hope is that he is able to enjoy opportunities that every child has. He has made our family unity closer,” Heaney said. Tickets to Saturday’s friendly are $5 for adults, kids 15 and under and students are free. There will be plenty of activities for the kids, free food, drinks and face paiting. There will also be a silent auction at the game for UNCW game jerseys in addition to N.C. State apparel. “I hope the community comes out and supports the event, has a wonderful night. Our goal is to bring a smile to some faces and raise some money for TOPS Soccer,” Heaney said. 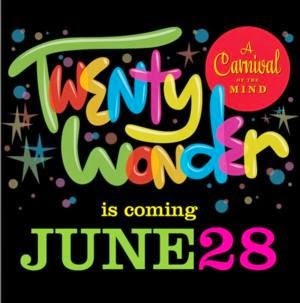 Down Syndrome Association of Los Angeles (DSALA) announced today, in celebration of World Down Syndrome Day, that their annual benefit TWENTYWONDER, A Carnival of the Mind, will have its 5th Anniversary on Saturday, June 28, 2014 beginning at 6:00 p.m. This year's TWENTYWONDER, marks the 4th year, that the L.A. Derby Dolls will host the critically-acclaimed, 21 and older fundraising event, at the Doll Factory (1910 West Temple Street) in Los Angeles. The evening will feature an all-star roller derby bout, music, comedy, art, sciences and plenty of last minute guest surprises. Proceeds will benefit DSALA's efforts to support those born with Trisomy 21/Down syndrome living in greater Los Angeles. "WOW...I can hardly believe we are about to mount the 5th Annual TWENTYWONDER in Los Angeles! From it's funky/sweaty/adorable beginnings as SuperBall 'The One Day World's Fair' in 1996 to the fun-loving genre bending acceptance/awareness event hailed as today's Carnival of The Mind, this event is a genuine pleaser. TWENTYWONDER repeatedly draws and amazes the sweetest people of Los Angeles with a cultural cocktail shaken with the sights and sounds and ideas for our thirsty modern lives," said Jim Hodgson, Director of Down Syndrome Association of Los Angeles.